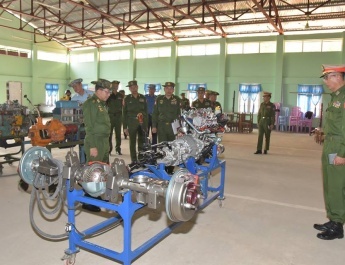 The Myanmar Tatmadaw goodwill delegation led by Commander-in-Chief of Defence Services Senior General Min Aung Hlaing, currently in Yichang of China at the invitation of member of the Central Military Commission and Chief of the Joint Staff Department of the People’s Republic of China Gen. Li Zuocheng, this morning left Sanxia Airport where they were seen off by Commander of Hubei Provincial Military Region Maj. Gen. Ma Tao and senior officers of the Chinese People’s Liberation Army. 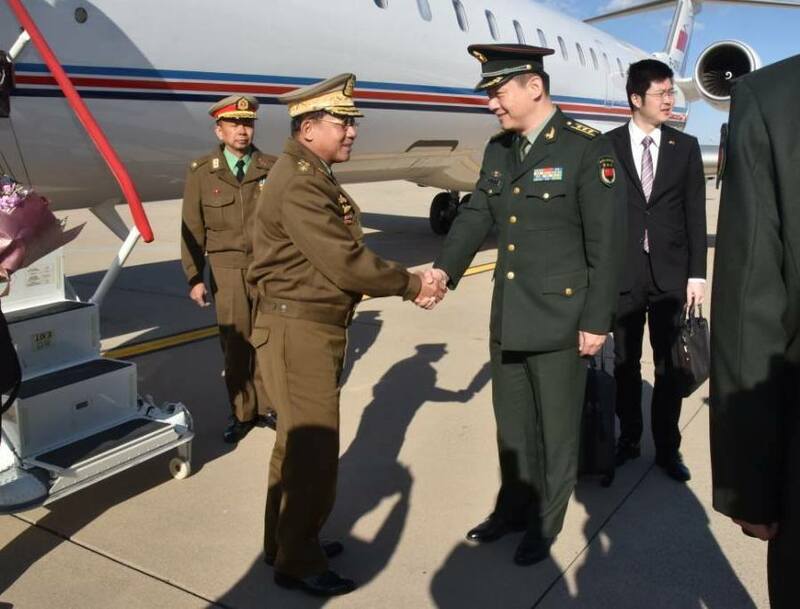 On arrival at Nanyuan Airport in Beijing, the Senior General and party were welcomed by Chief of Bureau of Asian Affairs Sir. 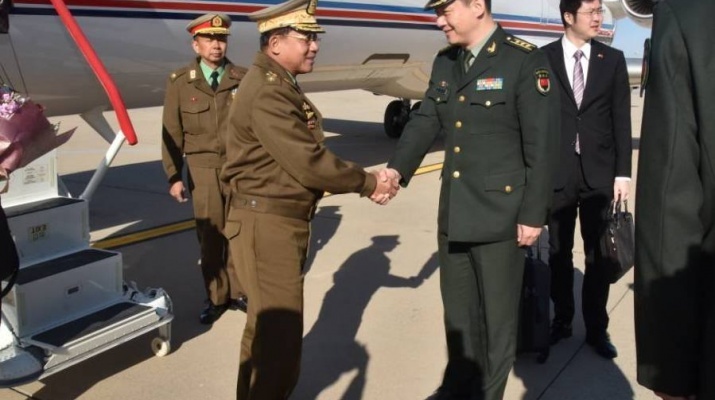 Col. Liu Zhongbin and senior officers of the Chinese PLA.In the afternoon, the Senior General and party arrived at the Myanmar Embassy to China where families of the embassy and the office of the Military Attaché and officer trainees welcomed them. 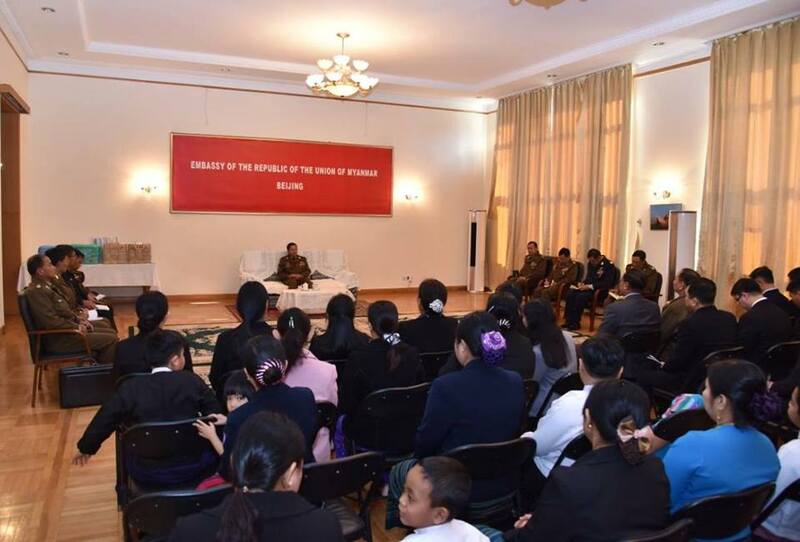 In meeting with families of the embassy and the office of the Military Attaché and officer trainees, the Senior General said his trip aimed to further promote friendly relations between the two armed forces of the two countries. He stressed the need to dutifully carry out the tasks in respective sectors for serving interest of the mother land. It needed to create better relations between the two countries through their relations and abide by the prescribed disciplines. Then, the Senior General explained political progress in Myanmar and strengthening the way of multi-party democracy with firm steps. 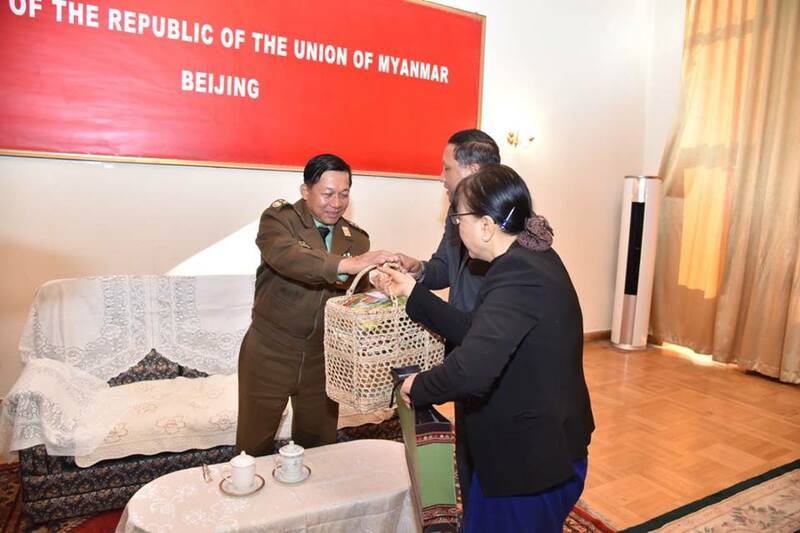 Afterwards, the Senior General presented foodstuffs and gifts for families of the embassy and the office of the Military Attaché and officer trainees. The ambassador, the military attaché and families of the embassy and the office of military attaché accepted foodstuffs and gifts.